Sykes have moved into the Grade II listed Blackheath Halls this week, ready to commence an exciting redevelopment project. 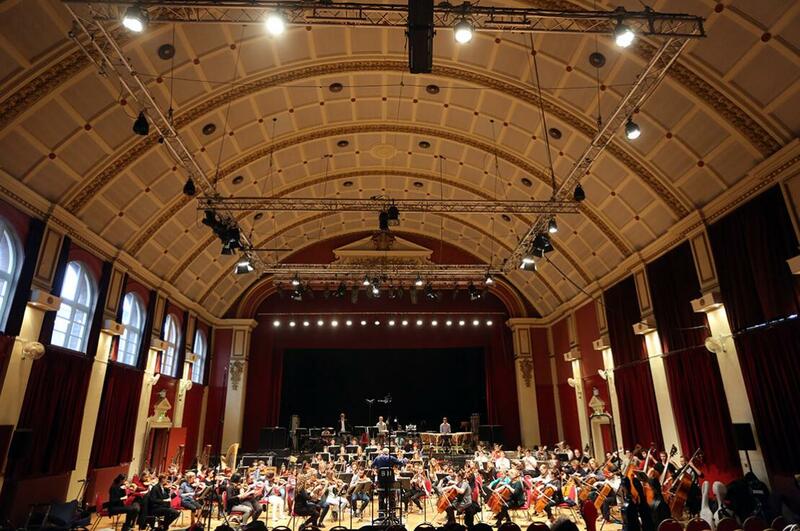 The doors of Blackheath Halls have now closed to allow for improvement works which will benefit future audiences and all those who perform in this beautiful historic building. Following our 2016 project to replace the main roof of the Halls, Sykes were awarded this project to transform the Halls into a space worthy of the performances it hosts. The project focusses on the refurbishment of the Great Hall including a levelled and lowered stage, retractable raked seating together with improvements to acoustics, equipment and lighting. Further works will include redesigning and modernising the Foyer and Bar, enhancing all public areas and upgrading backstage facilities. Built in 1895, Blackheath Halls is London’s oldest surviving, purpose-built cultural complex. So, it is an honour for London’s oldest independent building contractor to help ensure that the Halls are fit for purpose for the next generation.